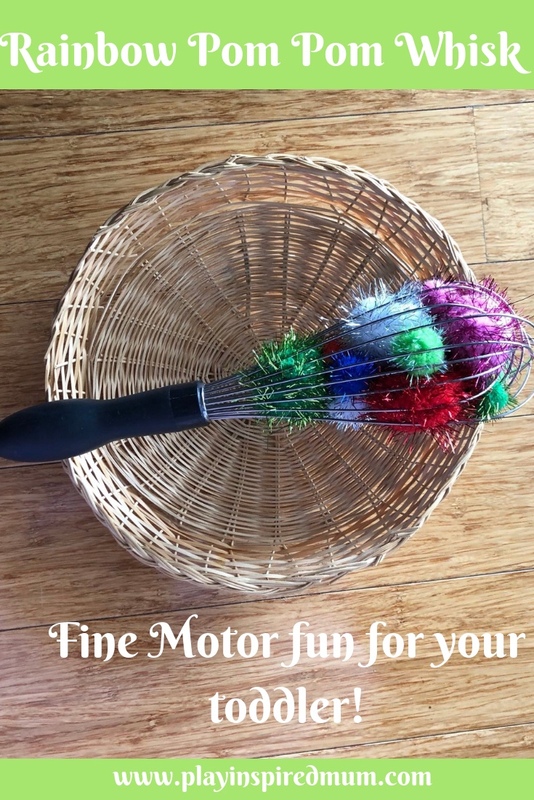 Home / Fine Motor Activity / A Pom Pom Rainbow Whisk of Fun! Getting dinner ready has become a fine art at our place. Gone are the days when cooking dinner meant just that. It now means, preparing a meal, helping with spelling, after school reading, avoiding the toys scattered across the floor, keeping the toddler out of the pantry (especially the tub that holds the rice- probably the only downfalls of sensory play), starting the lunchbox dishes from school and keeping Miss 4 in check who gets super over active when she is over tired come the end of the day. 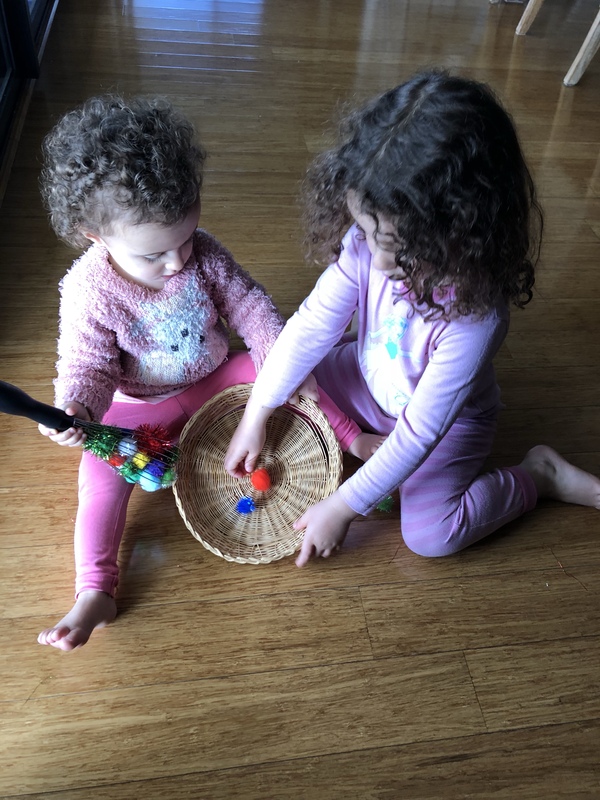 An activity that is quick to set up and can keep the younger two happy while Mr 10 and I work through his homework while I prep dinner is one that is cherished. 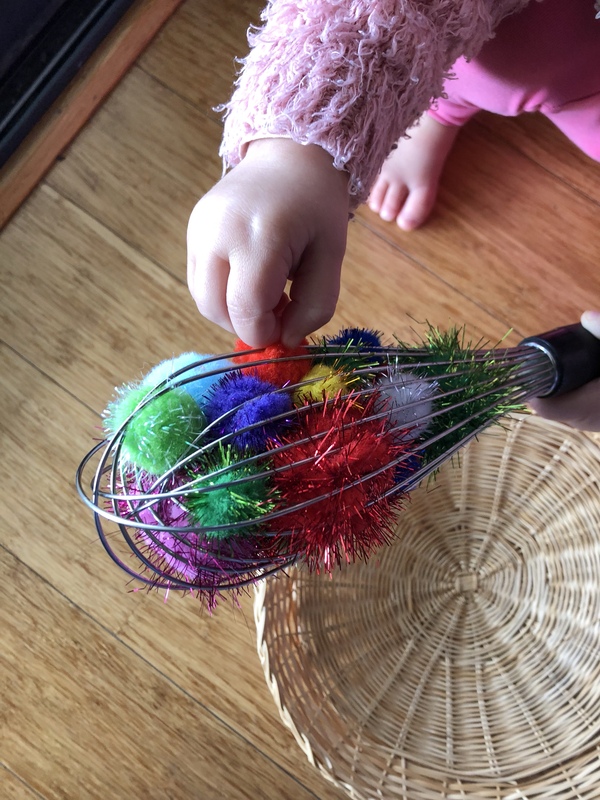 I discovered the brilliance that is pom poms in a whisk. It takes minutes to set up and the girls loved it! 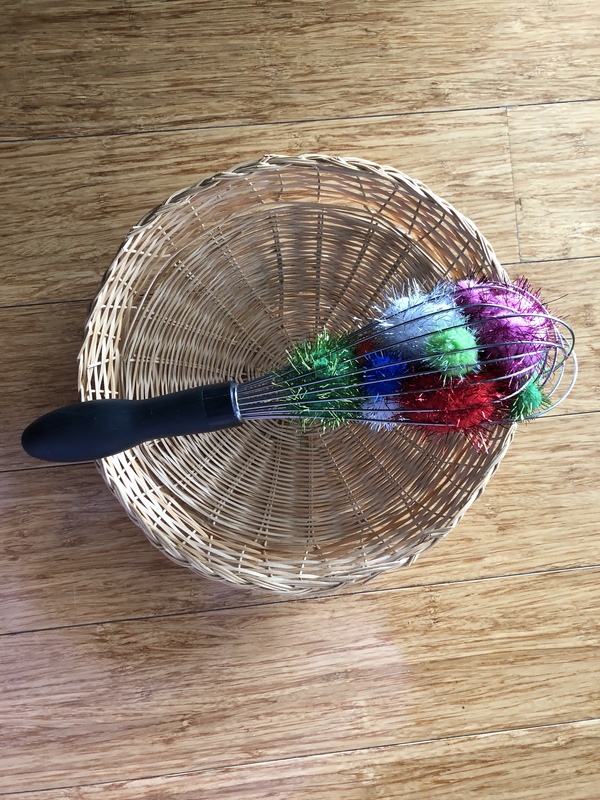 I simply presented them with the rainbow stuffed whisk and a basket. 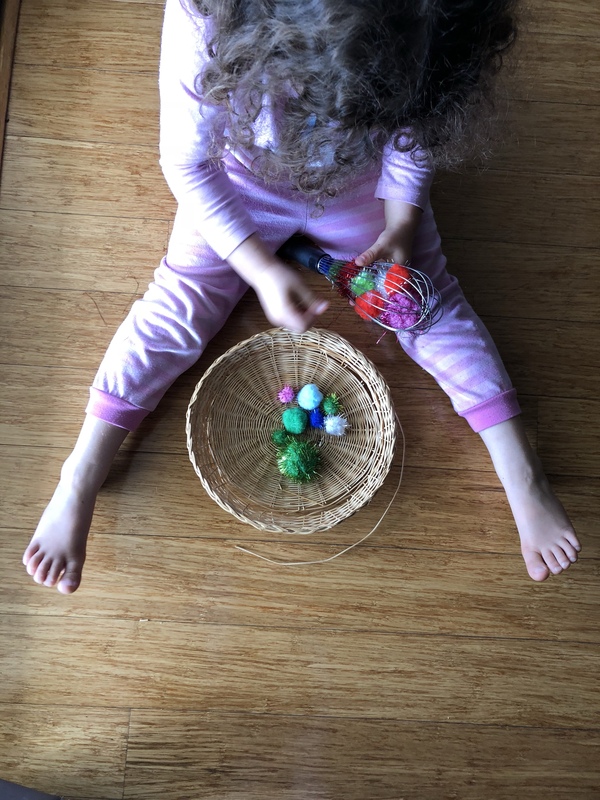 Miss 15m was transfixed by the glittery sparkles in some of the pom poms. 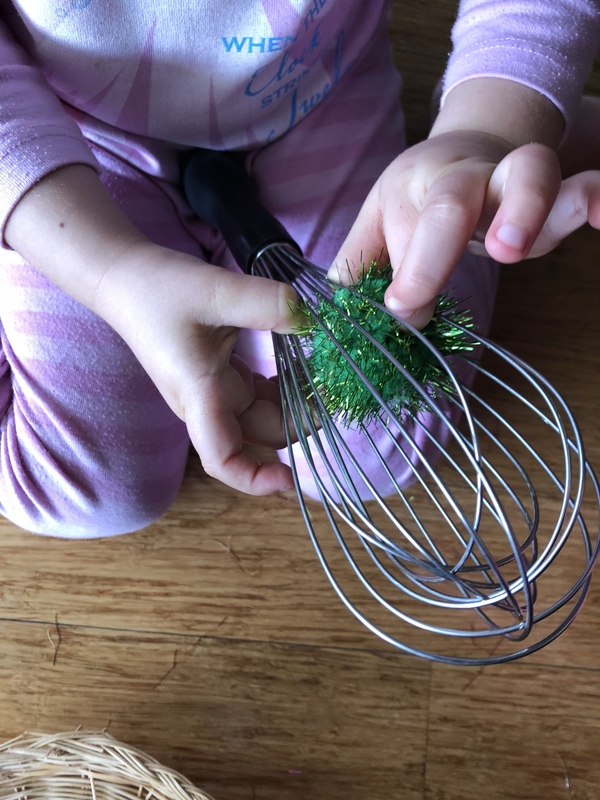 While manipulating the fuzzy spheres from the bars of the whisk, she was also working the metallic threads apart simultaneously. 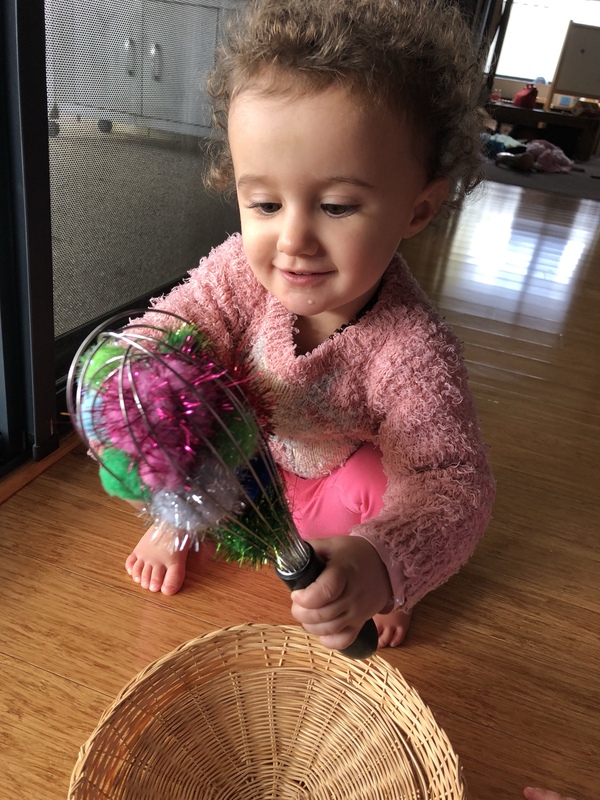 As a few of the pom pom were pulled from the whisk, she quickly worked out that they were easier to remove from the top end, rather than the handle end. Once little Miss worked them all loose, it was then Miss 4s turn to have a turn. She had been eagerly watching with twitching fingers. This is a great activity to use as a turn taking tool. There is a very clear visual representation of beginning, middle and end to this activity. 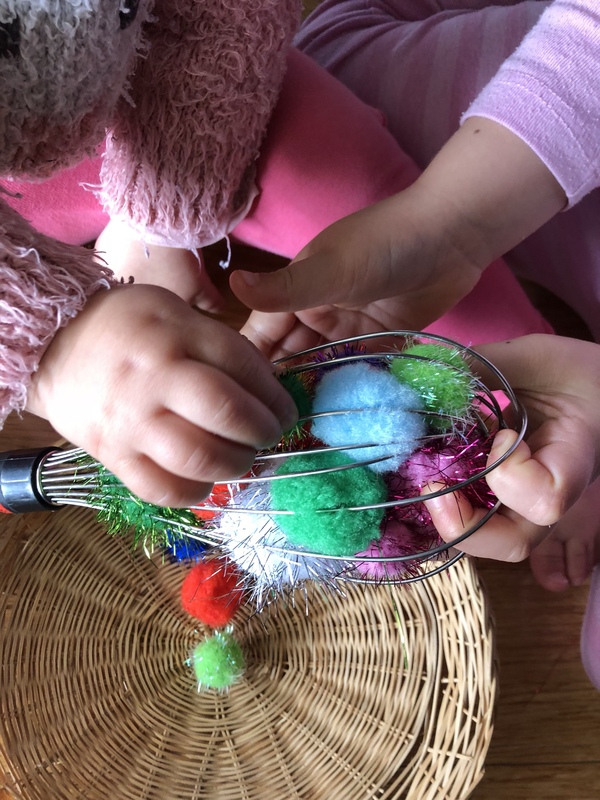 The beginning of the activity is represented by the whisk being full of pom poms, the middle involves removing them and the end of the activity is evident once all the pom poms have been removed. 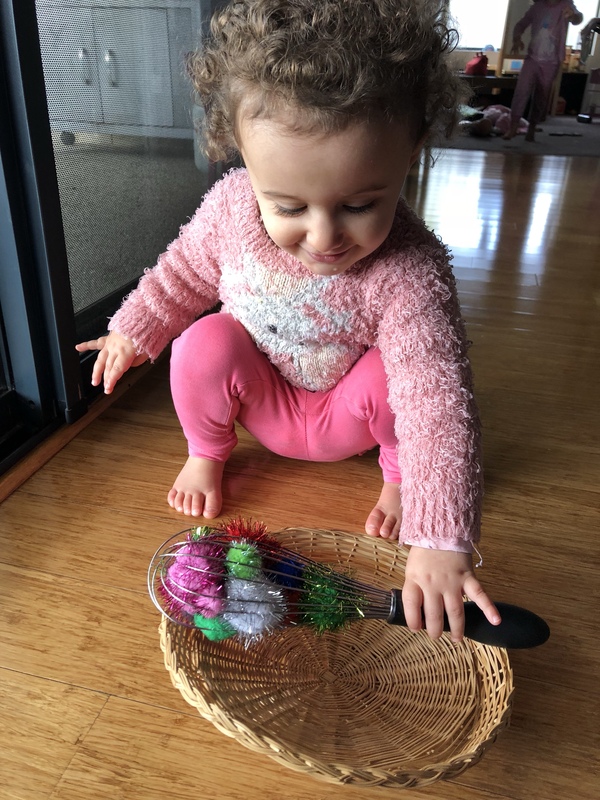 Visual representations work wonders for my children – as for most! 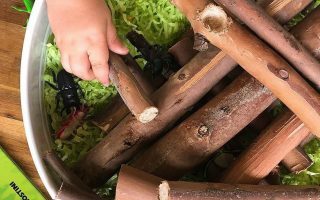 This quick and easy activity kept the peace for me to get dinner done, there was little squabbling and so many learning opportunities! It is going to be one we revisit. Next time I might also add some other elements too. Perhaps some scrunched paper, bubble wrap or knotted fabric? Limits are pretty endless! Such adorable pictures! 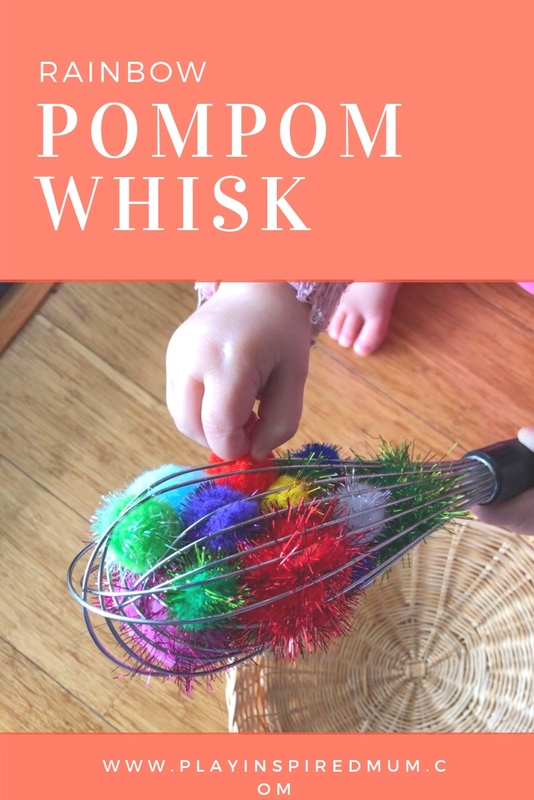 Loving that pompom whisk and this cute and fun games for kids! Me neice would enjoy it so much! Such adorable pictures! 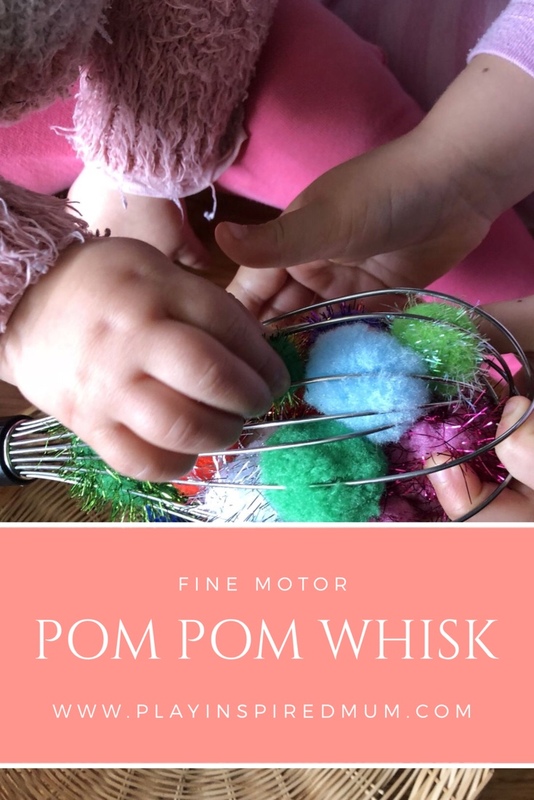 Loving that pom pom whisk and this fun game for kids! My neice would enjoy it so much! Awh she is amazed! 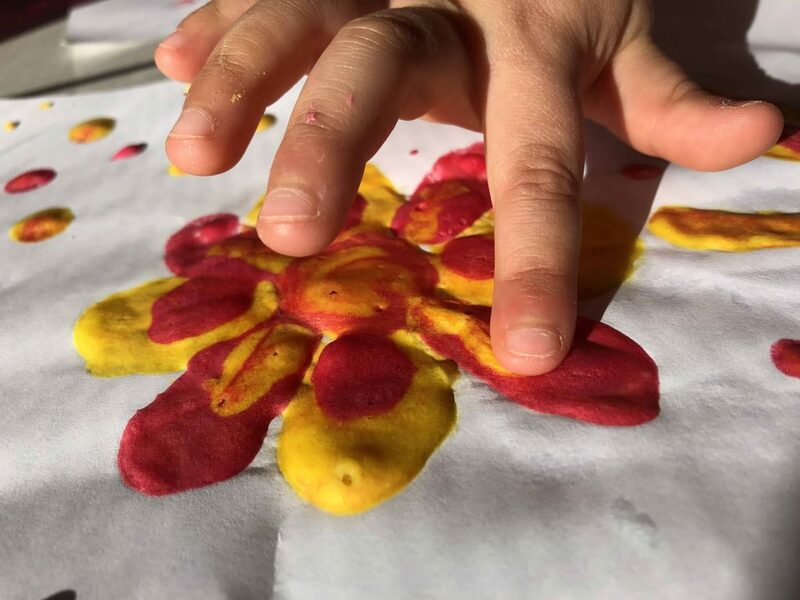 This looks like something simple and fun for any child and a great way to distract them when mom or dad need to get something done! OMG! So creative, chap and FUN! Those little girls are so cute! I can tell you your little one is mesmerized! Love your pics, btw! How to entertain children with very little stimulating, however, in this way their imagination! Fantastic! 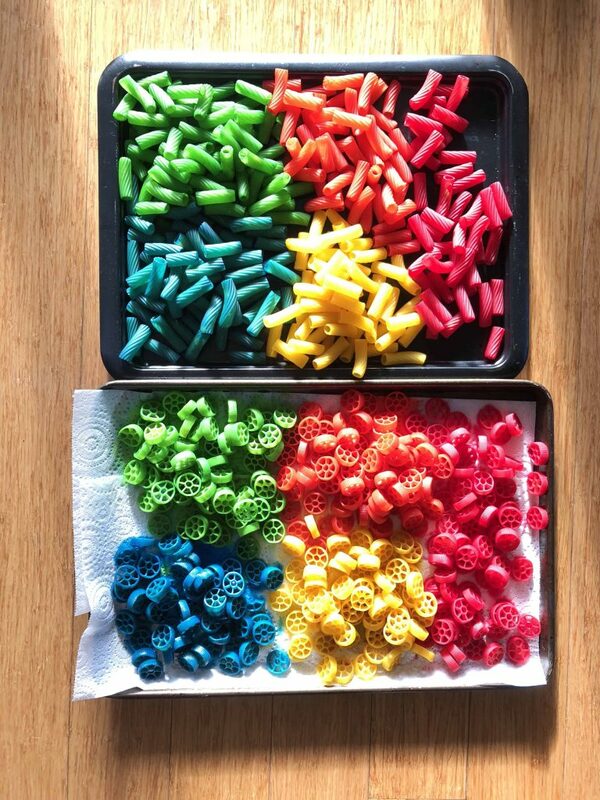 thats such a cool idea to entertain toddlers. 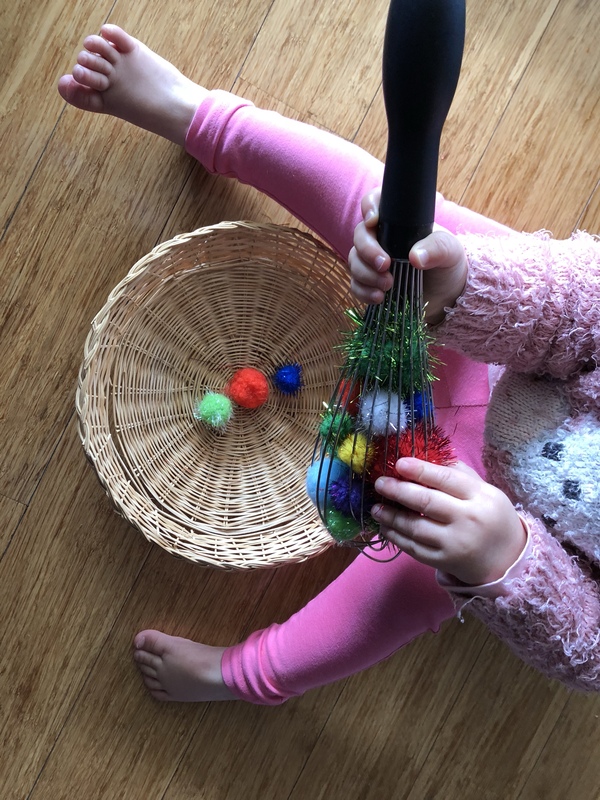 What a simple way to entertain your little ones. I would be too paranoid of my kid trying to eat it. LOL! 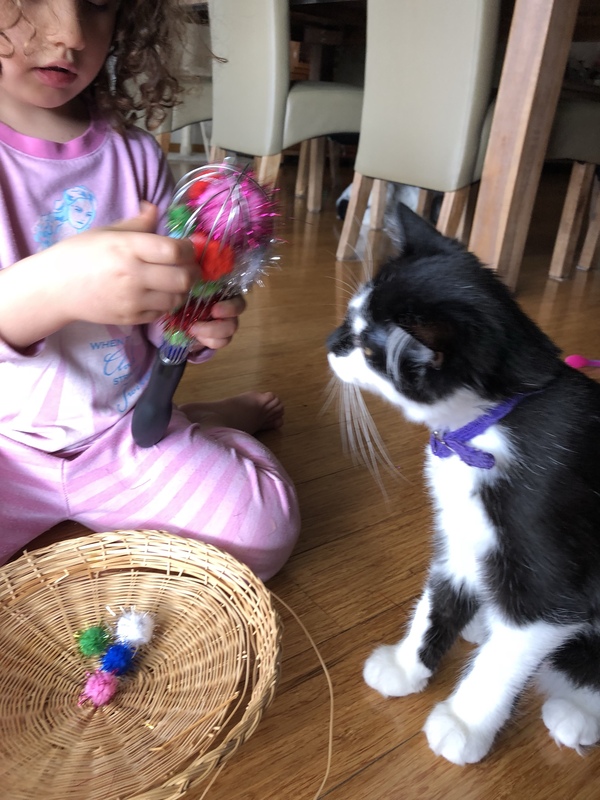 Your cat seems interested too! It’s sooo cute! And your daughter is adorable. My little girl would like it, too. 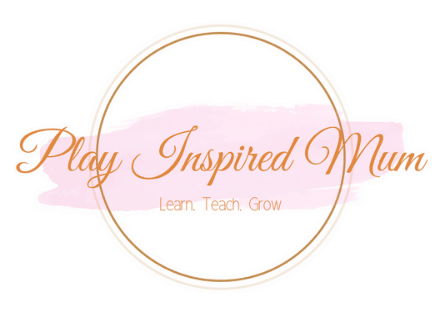 You are genius, love the way you keep kiddos active. 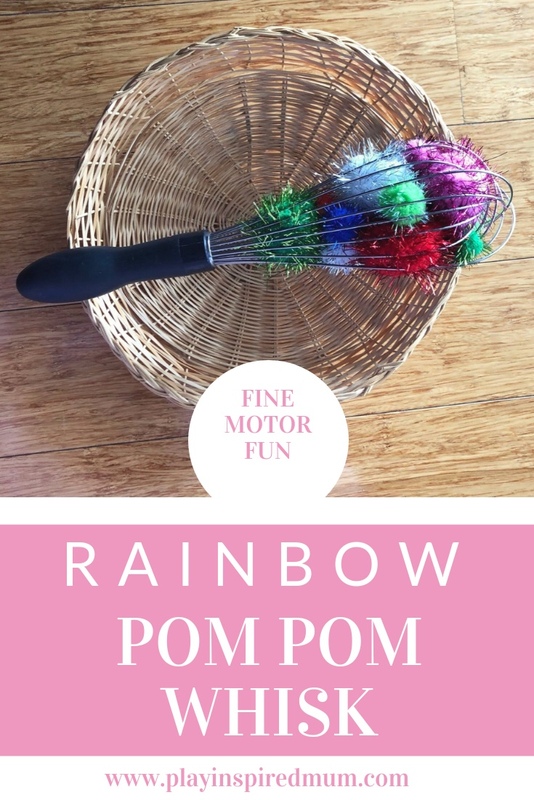 I like this pom pom rainbow whisk.